Thai Yoga Massage is a dynamic form of bodywork based upon an ancient massage system which incorporates passive yoga stretching, acupressure and gentle rocking. Tutor Celine Samson will offer this comprehensive training taking place over a 12 day programme. There will be breaks of approx 3 weeks in between weekends to enable students to practise the hands on skills and build a portfolio of case studies. These qualifications are ideal for those seeking to gain employment as a sports massage therapist working with the general public and athletes. 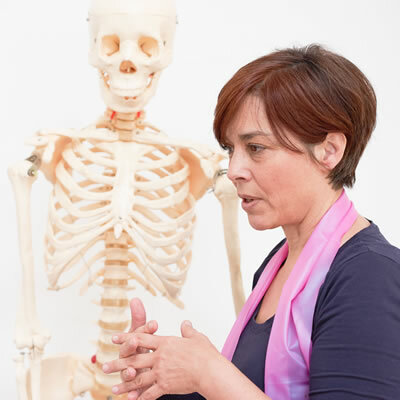 We will help you to deepen your knowledge and understanding of anatomy and physiology and specifically to sports massage and the principles of health and fitness. You will learn the theoretical and practical elements of this beautiful and dynamic therapy. This is a level 3 qualification specifically designed to develop your practical skills in providing a deeply relaxing and stress relieving treatment to clients within a range of health and beauty settings or in a private complementary therapy setting. Are you someone who prefers real life in class learning rather than facing online versions? If yes, we can help you achieve this comprehensive qualification with playful and fascinating lessons in class with our expert tutor Jenny O’Brien.